I didn't mean to buy this book. I was looking for Mo Willems' The Duckling Gets a Cookie? They didn't have it at a local bookstore. But then a rebellious crayon caught my eye. Next thing I know I had paid for a couple of books and was out the door, smile on my face. I sat outside a coffee shop (drinking a ginger zinger - my favourite drink this summer) and laughed out loud with delight while reading this book. The text - the letters that the colours write to Duncan - meshes seamlessly with Jeffers' brilliant illustrations. 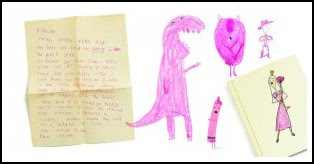 The letter from each crayon reveals a different personality - and a different complaint. Blue feels overworked, as does red, pink wants to get out of the box more, purple is a bit controlling, beige feels overshadowed by brown, black wants to be more than an outline. green is happy doing his thing but wants the argument between yellow and orange, who won't speak to each other settled..
My favourite is peach, who won't even come out of the box because he is naked. Duncan took his paper off! The crayons' personalities are expressed perfectly by Jeffer's illustrations. One half of each page spread reveals a copy of a letter is written in the "correct" colour, with its own printing style and paper choice. 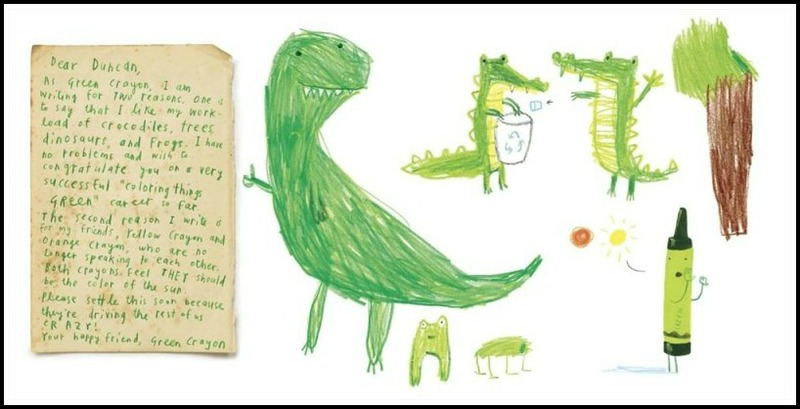 The other side shows how Duncan uses the crayon. Jeffer's rendering of a child's drawing (I have admired thousands of drawings by 5 and 6 year olds in the last 20 years) is nothing short of brilliant. I believe that books need to be read first and foremost for pleasure and delight. For talking and laughing and noticing and exploring and "what if-ing". And then, some fun, brain-stretching activities. A stack of crisp white paper and a fresh box of crayons (all with their "clothes" on) could be set out as an invitation to create. End of the book style creation would be fun. 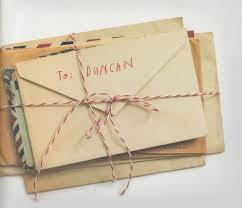 Older kids, either individually or in groups, could write a letter from Duncan to a crayon. How would Duncan respond to the crayon? Would he be sympathetic, cajoling or practice a bit of crayon tough love? 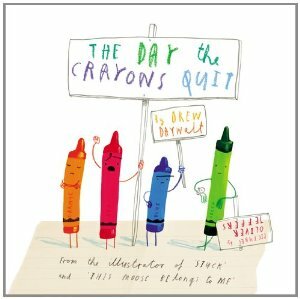 The Day the Crayons Quit is Drew Daywalt's first published book. 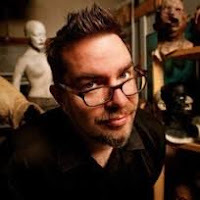 The coverjacket bio says he is "an award-winning writer/director of film and TV, his work having been featured on Disney, MTV, FEARnet and SyFy". A quick google search shows that he is best known for his horror shorts (movies not short pants). Older kids might find this quite fascinating. 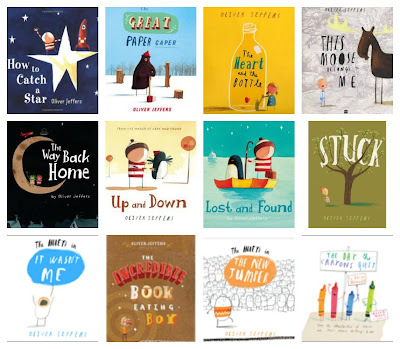 Oliver Jeffers is an artist and an award winning, best selling picture book author/illustrator. 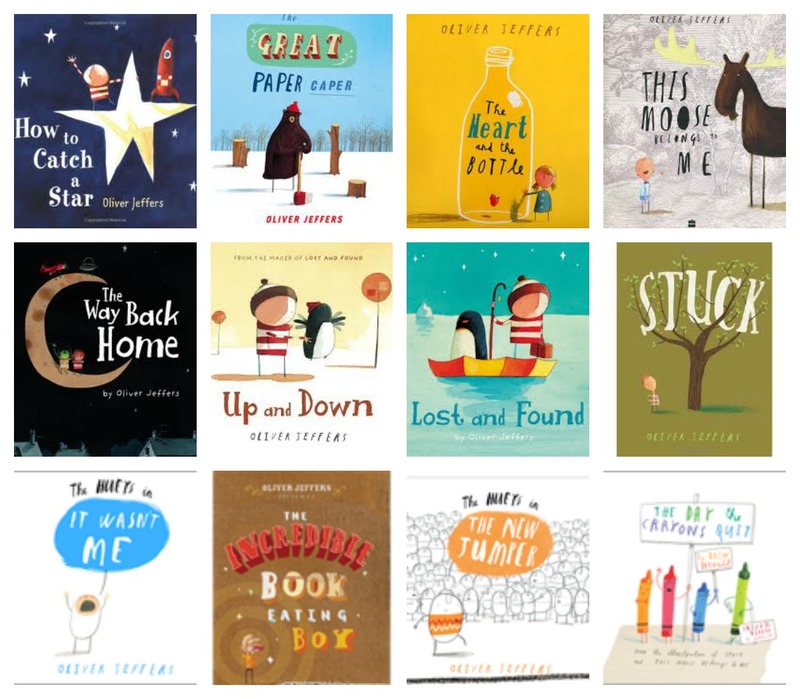 Read and enjoy them all! Check out his website - it's pretty cool. I just spent way too long there. I love his video introducing himself. 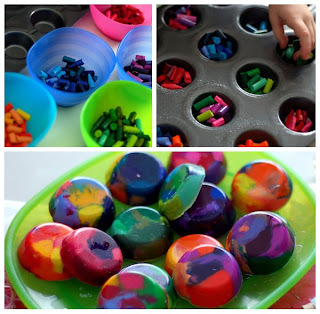 Click on the graphic to see how to make gorgeous crayons from old broken ones. 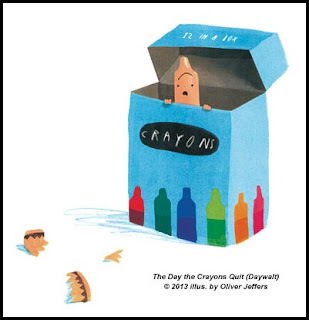 Enjoy other picture books about crayons. Check out lots of great crayon ideas on my crayons pinterest board. Follow Sandi @ rubber boots and elf shoes's board crayons on Pinterest. But most importantly, enjoy the book for the delight that it is. Terrific Need to get this book! Will check my school library tomorrow. It is a fabulous book. It was just published in June, so your school librarian might have to order it. Love this post! thanks! This book is top on my list right now. LOVE that video!!! What a hoot. Must ~ buy ~ that ~ book! Great review Sandi! Thanks for sharing. I'm still really on the fence about this one which is difficult for me as an avid Jeffers fan. I'm going to keep giving it a try but I'm just not in love yet. This looks like a book that I would love! I'll definitely be keeping my eyes out for it! I especially love the extension activities you've included! Thanks for sharing this at Booknificent Thursday! 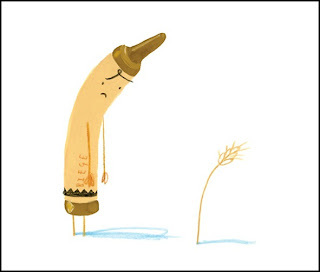 This is one of the most original children's books out there. I purchased it for my 4 year old daughter my 9 year old was so entranced he read to her multiple times. Highly recommended.